Posted January 14, 2016 by Emily Adams . 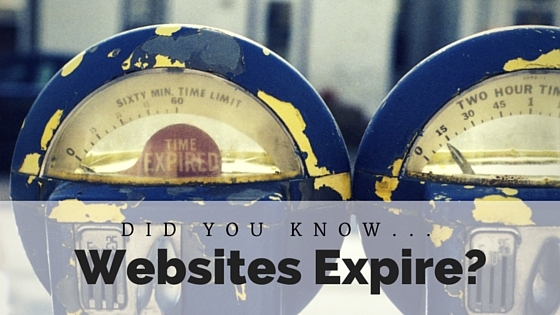 Did you know that websites expire? Just like the food in your fridge, your website can go bad, spoil, and make your business sick. But unlike food, you can’t always tell when your website is spoiling. Maybe it’s moldy landing pages that are underperforming. Or maybe it’s stale content that has lost the right flavor or message. Fresh food nourishes your body, and a fresh website can grow your business! Does a website really matter than much? If the product or service is good and the message is right, won’t a product virtually sell itself? Maybe in a perfect world. But we don’t live in a perfect world. Even for successful companies with top-notch products, an outdated website can be the kiss of death for a small business. Take Vintage Body Care. 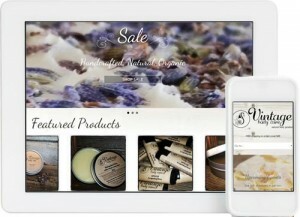 When we first met the owner, she was struggling to sell her gorgeous, handmade bath products online. Her products were so beautifully crafted, they should have been flying off the shelf. But her website was holding them back. Outdated design, a clunky shopping cart, and poor search optimization meant hardly anyone came to her site, and those who did rarely purchased anything. They helped make a user-friendly and absolutely gorgeous website a reality for me… I would highly recommend them to anyone looking to up their game in the world of online business. To find out how we transformed her website and dramatically increased sales, download the Vintage Body Care case study from our own brand new website. You know that websites expire, and you’ve seen what a redesign can do for an actual small business. So now it’s time to turn the focus inward – what about your website? Does it have dated pages with stale content? Is it achieving your marketing and business goals? It’s not always easy to tell, which is why we’re here to help. Call 303-703-8000 and the team of marketing and web design experts at Automated Marketing Group will comb through your site and offer our genuine advice and feedback based on your specific market. No cost, no obligation, no reason to delay: Get your website Assessment today.